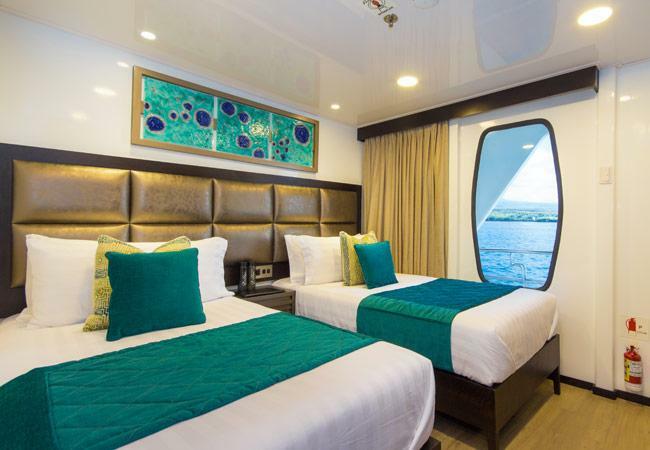 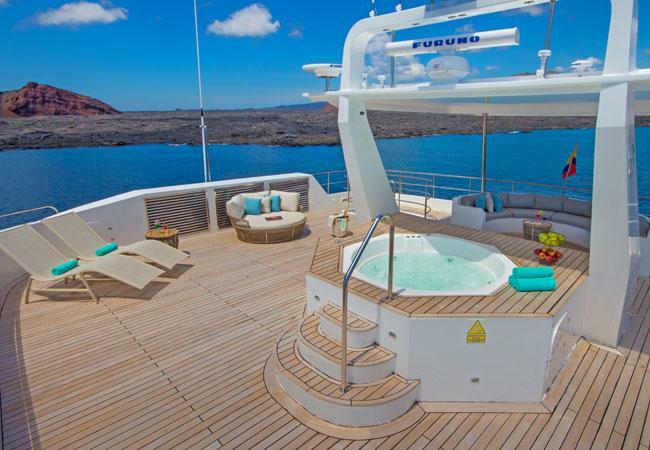 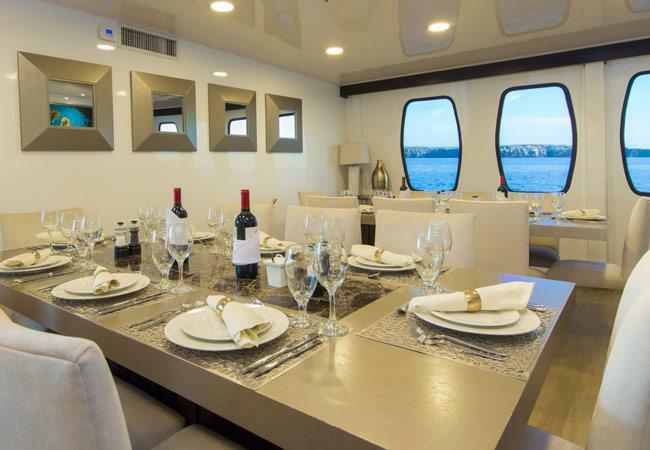 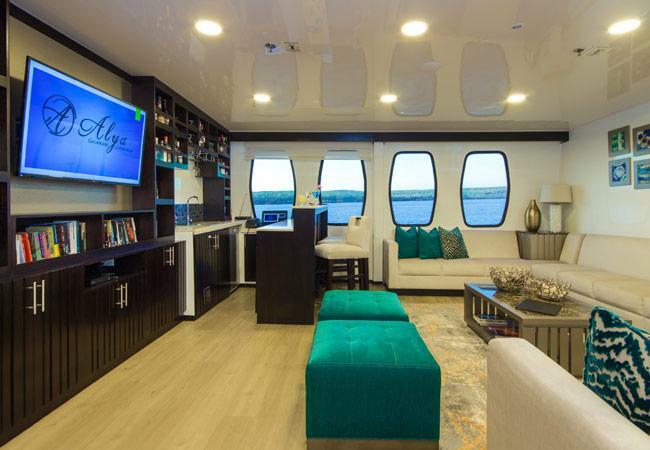 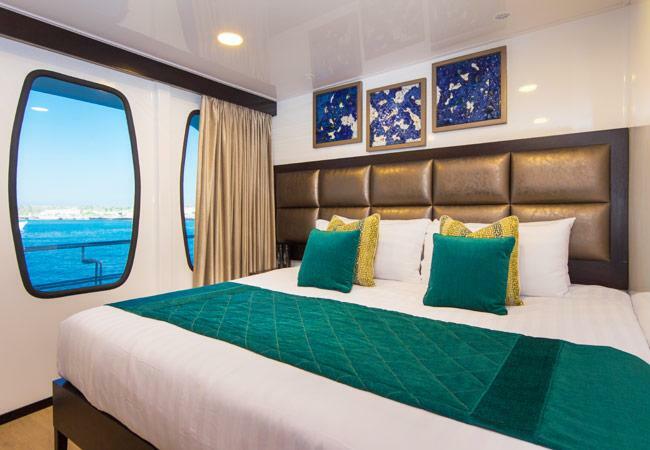 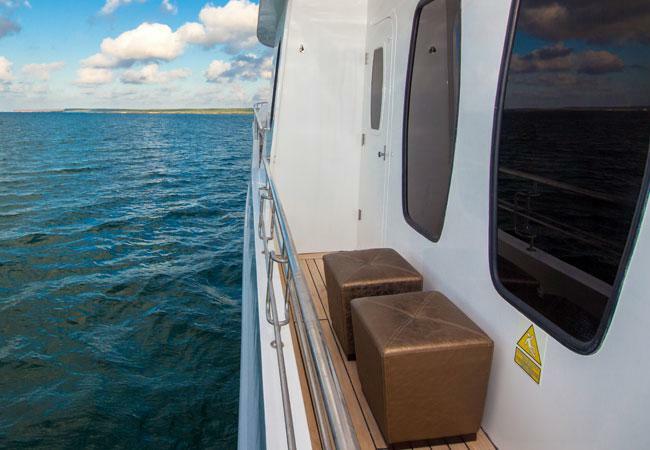 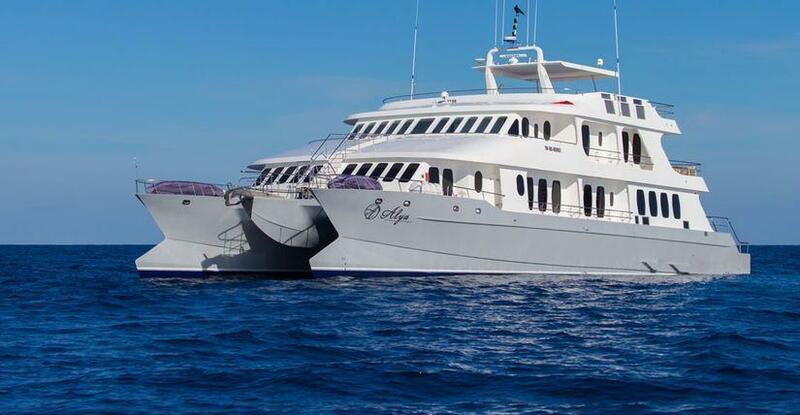 This luxury-class boat has nine pleasant cabins, eight of which have private balconies. 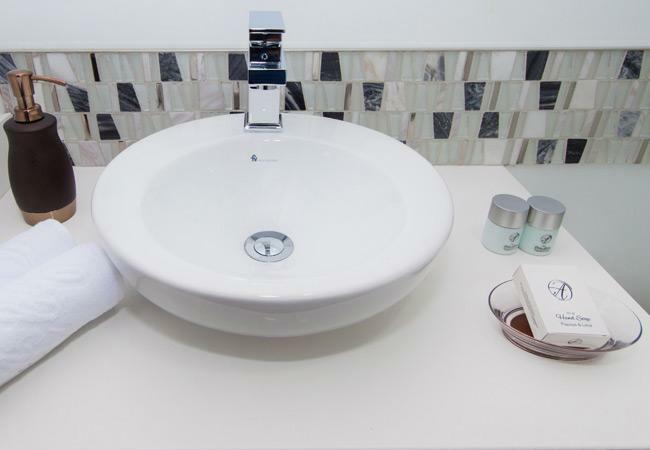 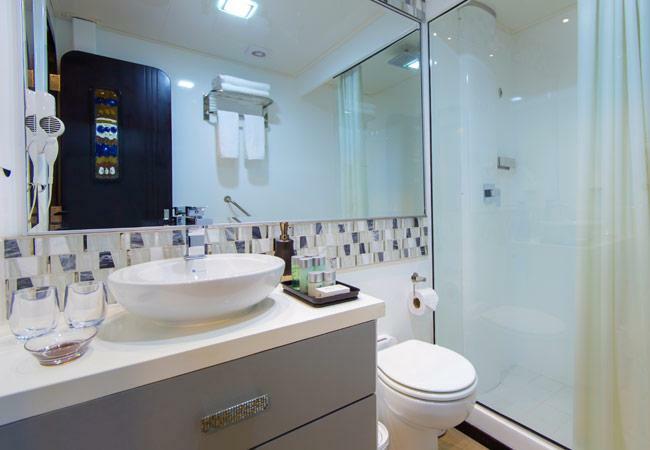 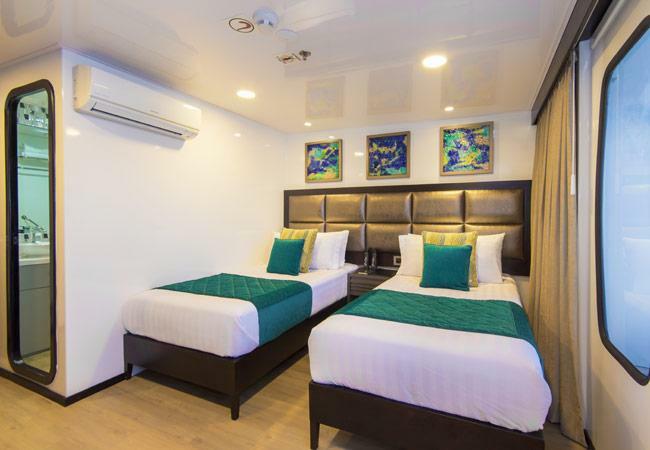 All are equipped with private bathrooms, cold/hot water, air conditioning, safe box and other amenities. 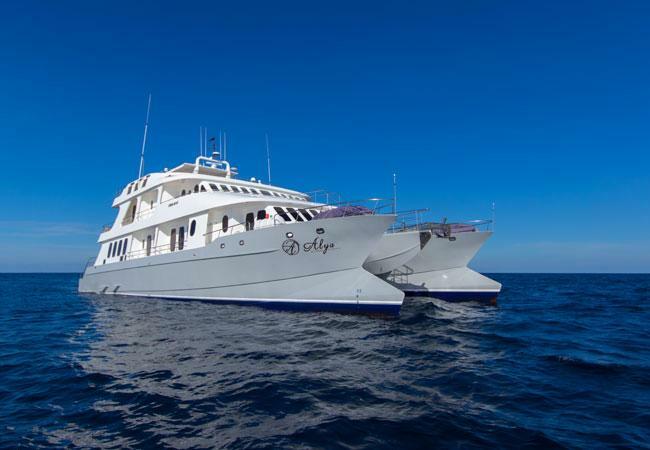 Itinerary is subject to be modified without previous notice due to weather conditions. 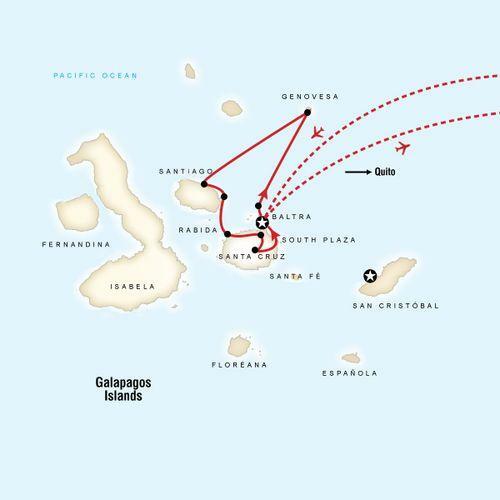 Policies of the Galápagos National Park, or due to operational reasons. 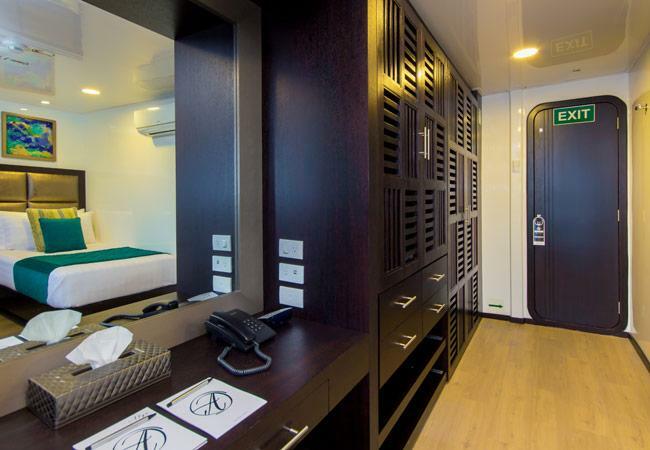 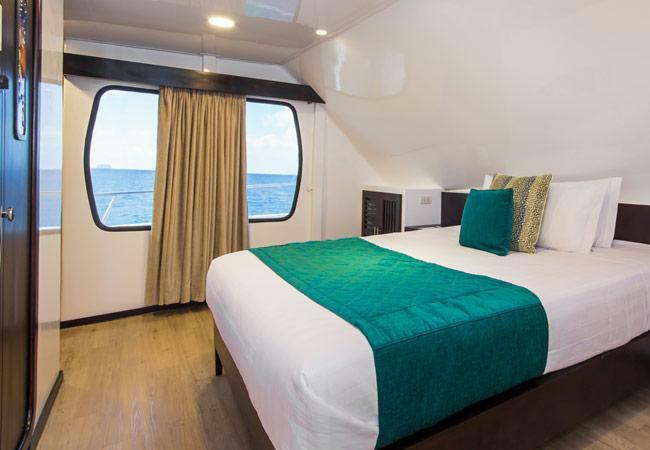 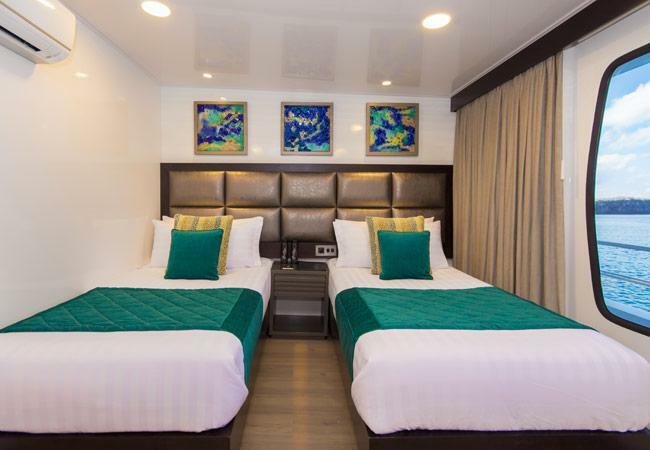 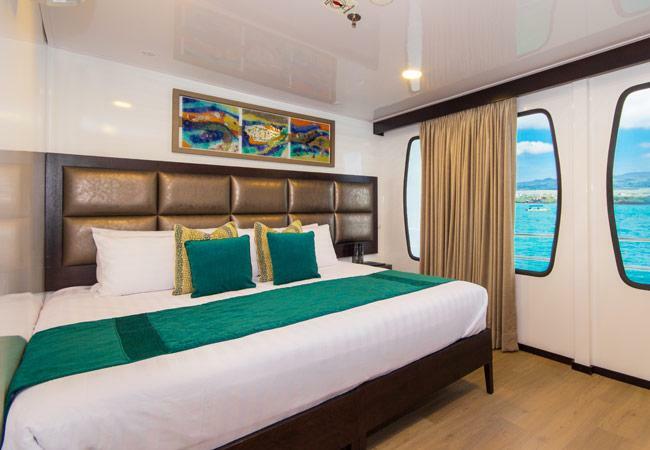 Four 172 ft2 / 16 m2 double cabins (all with private balcony).